Hello, today is the day for Papertrey's November blog hop. Our inspiration was book covers. 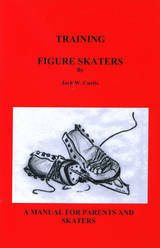 I chose the ice skates from the cover of this book. I used the stamp sets and dies from Mistletoe and Holly and the On Ice. The snowflakes along the bottom of the card is from Winter Hills. Nancy your cards are always fabulous! I love how you tucked the holly leaves behind your bow and used those fabby skates! So pretty! The lace and ribbon and button really give this card a retro vintage feel! Beautiful card. Love ice-skating at Christmas. GASP! GASP! GASP! LOVE! LOVE! LOVE! BEAUTIFUL! I love your coloring on the skates! How beautiful that they are hanging from your homemade garland...this looks like a little vintage photo! What a work of art. Ice skates and mistletoe, doesn't get any better! Beautiful card! On Ice is one of my favorite PTI holiday sets. I love the pairing with the Mistletoe and Holly set. So beautiful, your skates are just amazing and really make your card. How fun, Nancy, and how fantastic your work is!! Darling skates, and I love that big pink bow. Perfect card with that wonderful bow in the center. So many elements come together perfectly - love the scattering of pink snowflakes along the bottom! Beautiful combination of colours and design details. That big fluffy bow makes your card so soft and feminine - reminds me of watching figure skating competitions. Oh was a beautiful card you created from that book cover! The pretty pink bow, holly leaves and ties on the skates are great details, Nancy! Another fabulous card. Love the layout, colors and that ribbon is just stunning. The littler detail of the skates hanging from the twine is what makes this card perfect. Great job with those beautiful skates, Nancy~lovely! Egads, Nancy, I LOVE your card!!! The pink bow on the light blue background, with the light green holly leaves and white skates is just such a stunning combination! You really knocked it out of the park with this one. What a sweet card! Love your bow - I can't get enough of that sweet binding!! Oh nancy .... I am so sorry how could I have missed your gorgeous card. Seems like I saw it though. It's stunning , inlove the skates with the gorgeous bow and holly. Wanted to fix that, not press send...... Oh well . You rocked this one. Gorgeous, but everything you mKe is beautiful!